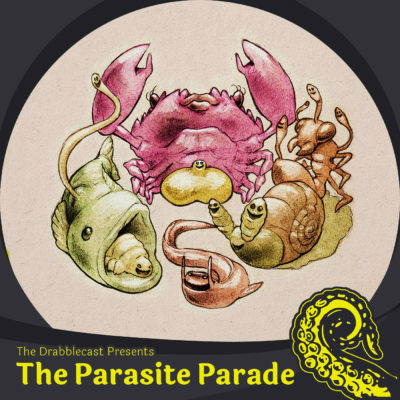 The Drabblecast presents “The Parasite Parade,” an audio version of an original children’s book written by Norm Sherman. The illustrations are by Caroline Parkinson. It’s a children’s book about—you guessed it—parasites! Why, you ask? Seriously, kids these days just seem too normal. With their green energy and their social awareness. Children need disturbing realities too and we figured why not illustrate that? Fortunately for all the naive mini-adults out there, Caroline felt the same way! How ar’ diz kidz nawt f*&ked up enuff?! And so there it was, folks. The Parasite Parade was born. 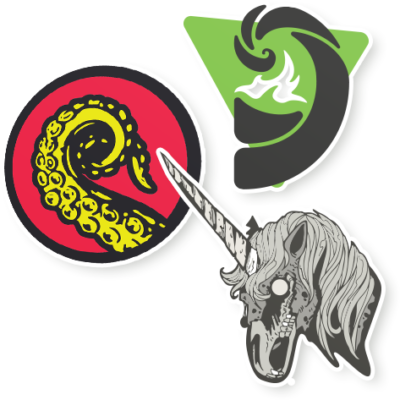 The audiobook and hardcover versions will be available soon through the Drabblecast Kickstarter!